Your car is an asset in a number of ways. It can also be the perfect tool to earn some money on the side. 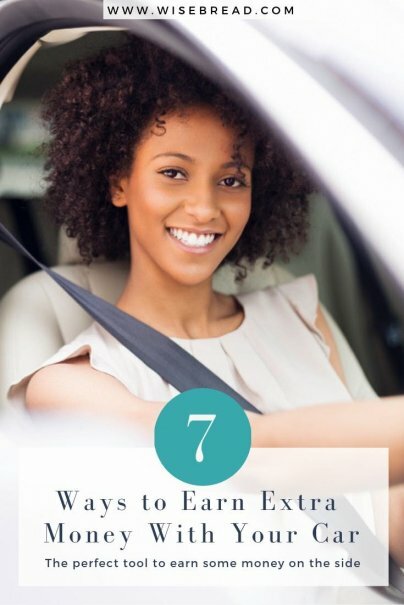 To make the most of your investment, we've covered some of the top ways to earn extra money with your car. Driving for Uber or Lyft works similarly to driving a taxi, except you get to use your own vehicle and set your own schedule. Lyft claims that you can make up to $35 per hour, while Uber claims that the average driver makes around $19 per hour, and drivers in big cities like New York can earn approximately $90,000 a year (before the cost of insurance and gas). If you aren't attached to the appearance of your vehicle, consider having it wrapped in an advertisement. Companies like Wrapify and Carvertise can lease ad space on your car for hundreds of dollars per month. While Forbes estimates that you can make anywhere from $100-$600 per month to use your vehicle as a moving billboard, it will really depend on the service you choose, the size of your car, your daily commute, and where you live. If you drive a lot, park in a high traffic area, or have a larger vehicle, you can expect to make more with car advertisements. Typically, you will agree upon how much of the car will be covered and a certain period of time that the advertisement will be displayed. Then, all you need to do is drive as you normally would. If you are planning a trip out of town, consider renting your vehicle out for the time you're away. You can rent it to someone needing a vehicle for the time you're gone with sites like Turo and Getaround, or you can lease your vehicle to be used on a movie set. Getaround estimates that you can make up to $10,000 a year by a sharing your vehicle when you don't need it. If you have a specialty vehicle or an old vehicle (which will fit a certain time period), you can expect to make more money and get booked on more filming jobs. You can even make money just by parking your car on the set, so that it matches the look or time period the film is shooting for. If driving people isn't your thing, consider applying for a food delivery or courier service, like Postmates, DoorDash, or TaskRabbit. You can accept jobs at will and can pick up and deliver food or items in your area. If you'd rather have a set schedule and more reliable source of income, consider applying at your local pizza store to deliver pizza. If you'd like to take it one step further, you can sign up for a site like Instacart, where you can make money grocery shopping for others. If you have a truck or large vehicle, you can make money picking up large items or even helping people move. Services like Buddytruk and GoShare will allow you to earn up to $61.92 an hour by using your van, truck, or SUV to transport items. You can also use a service like TaskRabbit to charge for the use of your vehicle, as well as for your manpower (for transporting or lifting heavy items). If you have coworkers that need a ride to work, or children around the neighborhood who could take advantage of carpooling services, consider charging for these services. By charging each rider a small fee for gas, it can cover your gas bill and more. All you'll have to do is take the riders where you were already planning on going anyway. You can also take it one step further and offer airport picks and dropoffs. This will save your friends and family the stress and hassle of driving their own car, and it can help them avoid costly airport parking charges. Keep in mind that anytime you are charging for transportation or carpooling services, you'll need to be mindful of being on time. If you have nerves of steel and your stress level can handle it, consider offering driving lessons. You'll need a permit and insurance to get started. Your vehicle will also need to be adjusted to offer safer accommodations for young drivers, so you may only want to consider this if you have an extra vehicle that you don't use often.